I have always enjoyed burning candles, and the last few years I've missed being able to do that. I was a fan of burning them around the apartment, for both decoration and scent. I used to love collecting them, and trying out the different fragrances... especially during the holiday season. That all changed once I brought Mr Jingles home. He would purr while sticking his nose and tail into the flame, and send me running to put out the flame. Even though I had a passion for candles, I would never get rid of my cat. 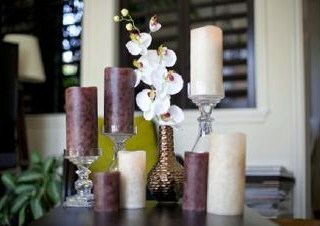 Thanks to Flameless Candles, Enjoy Lighting has brought back my love for candles. What are flameless candles? 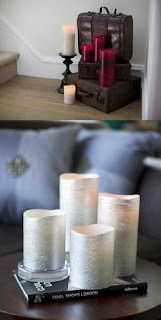 They are real wax candles that have LED lights built inside of them. They have an easy on and off switch that is hidden on the bottom, and each candle requires 4 AA batteries to run. These candles are so realistic, that they have a scent to them, so your guests won’t even realize that there isn’t a real flame burning inside of them. 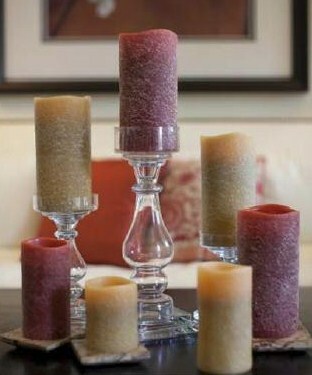 These candles come in colors and textures to match any decor. The products range from smooth textures, distressed, glacier and mottled. They have many enjoyable fragrances: fruity, spicy herbs, rustic outdoor, clean and fresh, vanilla and much more. There's such a wide variety of products that there's something for everyone! Each candle has 3 LED lights and a computer chip built into the candle. The lights produce multiple points of randomly shifting light, creating a glow that flickers, rolls, and casts dancing shadows. These candles do everything a wicked candle does but better! Best of all... is that a lot of these candles have a Multi-Hour Timer Mode. You can choose to operate them manually or set timer to run for 4, 6, or 8 hours. The candle will automatically turn on each day and the set time and off after the selected number of hours. How perfect for hard to reach spaces – Set it and forget it! Check out the Flameless Holiday Collection! Keep an eye out during the holiday season because Flameless Real Wax Candle: By Enjoy Lighting, has sponsored my '12 Days of Christmas Giveaways'! 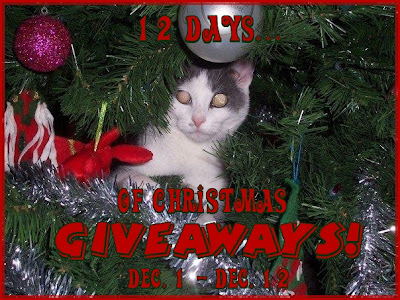 One lucky person will get the opportunity to win their very own Flameless Candle! "Win your own Enjoy Lighting Flameless Candle @kimmie_1980 http://tinyurl.com/24vhj99 (12/19) #giveaway"
I received the Flameless Real Wax Candle: By Enjoy Lighting, in exchange for my honest opinion, and a review of my experience. I did not receive any other compensation or incentive nor was I required to write a positive review. Individual results or experiences may vary. I'm already a follower. :) Would love these considering I can NEVER find any matches to light my traditional candles!! these would be great for Christmas! I would love to try the Honeycat sample kit! It looks like a fun start to some great products! I love the holiday glitter flameless candles. I like the Grey distressed candle in Vanilla Cashmere scent. Holiday Smooth Pillars are my favorite!